According to Report, Department of Defense and Pentagon is disclosing news of the one of the largest data loss events to date . From investigation, officials to believe the intrusion was orchestrated by a foreign government. The theft of around 24,000 sensitive Pentagon documents occurred in March 2011. The Pentagon is revealing that it suffered one of its largest-ever losses of sensitive defense data this spring to a cyber attack that it blames on an unspecified foreign government. 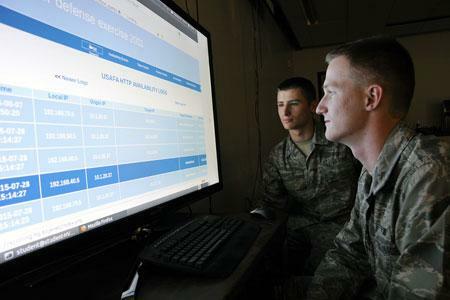 The loss is an example of why the Pentagon has developed new cyber security rules that emphasize deeper defenses, more collaboration with private industry and new steps to stop thefts by malicious insiders. William Lynn, the deputy secretary of defense, said in a speech outlining the new strategy that 24,000 files were stolen from a defense industry computer network in a single intrusion in March. He offered no details. In an interview, Lynn said the Pentagon has a good idea who made the attack but he would not offer details. He said it was by a nation rather an individual. The attack was part of a larger campaign by hackers against the DOD systems, and hackers are also trying to exploit its communications and satellite systems, according to William Lynn, the deputy secretary of defense. The most skilled hacking attempts are coming from nation states, rather than hacking groups, he warned.